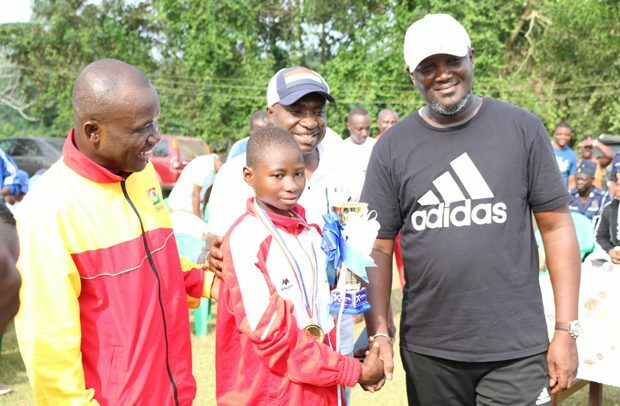 Deputy Youth and Sports Minister, Curtis Perry Okudjeto, has pledged government’s unflinching support for sporting activities after witnessing a colourful national cross country at Mpohor in the Western Region over the weekend. Praising the National Sports Authority (NSA) for reviving the dormant sport (Cross country), the deputy sports Minister pointed out that the over 10 km event sets the tone for Ghana’s preparation towards the Africa Games to be hosted in Ghana in 2023. Speaking on behalf of Isaac Asiamah, Youth and Sports Minister, Okudzeto mentioned that it is the Ministry’s mandate to use sports as a major tool for job creation, recreation, education and to a larger extent, crime prevention, hence government’s quest to build multipurpose youth and sports resource centers in every region to serve as a hub, where sportsmen and women can find the space to develop their sporting talents. Six males and females from each region participated in the event which saw Malik Yakubu of the Ashanti Region emerging as the best athlete in the male category, while Ramata Abdulai from the Upper West Region also emerged as the best female athlete. Director General of the National Sports Authority indicated that the competition, which was last organized in 2010 was aimed at unearthing talents who could best represent the nation in long distance events at both local and international competitions. He said the Authority was determined to revive all dormant sporting events and the cross country competition is just a curtain raiser for a busy 2019 sports calendar. The event received support by way of sponsorship from Ministry of Youth and Sports, Ghana Gas, John Sani Foundation, Ambassador George Lutterodt, among others.